Do all tomatoes look like this initially? This is so awesome! I present to you Casper the Friendly Tomato. I'm trying to document, as closely as possible, the progression of my tomato's growth, such as it is. It is a Red Heirloom Cherry. 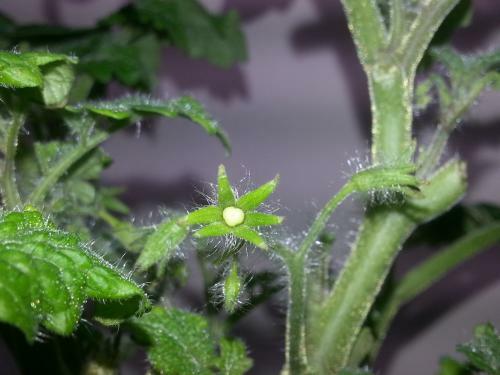 Hopefully, all the other flowers on the plants will also set fruit. In the meantime, I'm spying on this one known fruit and two suspected fruit like a Pomodoro paparazzo. 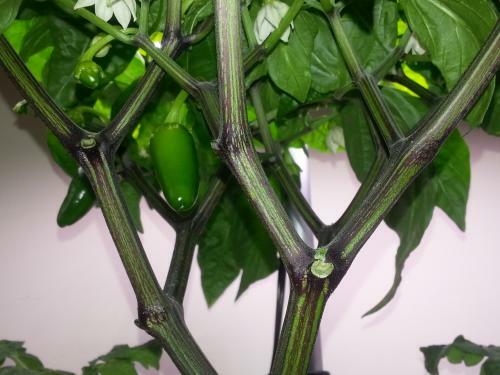 There is also the Jalapeno pepper plant to consider. Twice the size of the tomato plants combined, it's really being a light hog but I've been keeping it judiciously trimmed back. Despite my pruning it and my showing favoritism to the tomatoes, this lovely thing is proving to be quite the producer. I've lost count of the number of active growing jalapeno peppers on this plant. 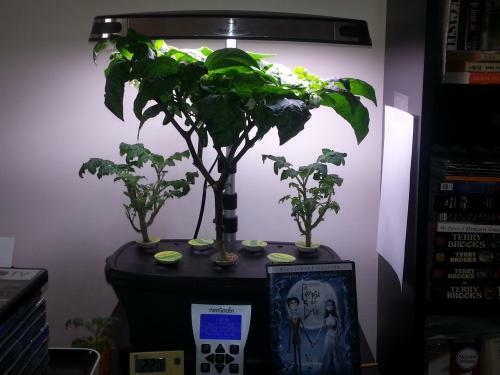 Yep, it's just the Aerogarden. I'm really glad I bought it. It is paying for itself in Jalapeno peppers alone.